Aromatherapy has been around for thousands of years, from before orthodox medicine came into being. The Egyptians, Greeks and Romans used it in ancient times. The term aromatherapy is derived from two words: ‘aroma’ meaning fragrance or smell and ‘therapy’ meaning treatment. Its popularity increases daily and is adopted by many health professionals including midwives and GPs. Aromatherapy incorporates the use of essential oils which are extracted from plants, flowers, trees and herbs. Each essential oil has unique therapeutic properties to support and stimulate the systems of the human body. The Complement Your Health dispensary hosts the highest quality essential oils and natural plant based botanical ingredients from around the world. Although many books and press articles say it’s helpful for a myriad of conditions from A-Z, aromatherapy can’t make any medical claims due to limited medical research. The natural plant oils can be energising, calming, invigorating, relaxing, revitalising and soothing. Promote a good night’s sleep. 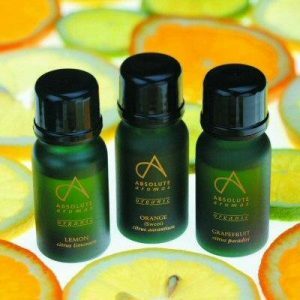 If you or a loved one is up for some energising, calming, invigorating, relaxing, revitalising or soothing products book your Bespoke Aromatherapy Discovery Experience here or purchase a Gift Voucher. Contact alison@complementyourhealth.com 0131 334 1311. As a professional aromatherapy practitioner, Alison MacColl, BSc Comp Therapies (Aromatherapy), is trained to take your specific needs and personal circumstances into account when creating a bespoke blend of aromatherapy products for your personal use. If you are, for example, pregnant, have epilepsy, high blood pressure or sensitive skin, then certain essential oils should be avoided. Essential oils are a complex blend of natural chemicals and are very strong. They should never be applied undiluted to the skin and must never be taken internally. They can erode plastic and are not soluble in water.